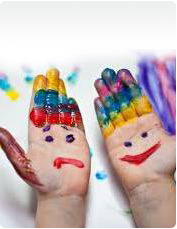 Play Therapy is a mode of therapy that helps children understand painful experiences and upsetting feelings. As play is a child’s natural form of expression, it can allow them communicate at their own level without having to put it into words. Children who are dealing with parental conflict, separation or divorce. Children who are dealing with issues of loss, such as illness or death of a loved one. Children who have been hospitalised. It provides children with emotional support. We hope at the end of therapy children will feel a change regarding anxiety or worrying behaviour, better self-esteem and confidence and build stronger relationships with family and friends. If you would like more information or if we can support you in any way, please contact Mary Keating in the school reception or via email and she will be happy to assist you.